How often do genealogists dream of finding a trunk in a relative’s attic, filled with family documents and photos? I had the opportunity last month to meet someone (distantly related to me through the Shelton/Franklin lines) who had such a trunk, although in this case, it was a suitcase. About six months ago, I saw in the rootsweb.archives, a message about the Sheltons that mentioned an “Alice Lockman” who had a family bible! Now that got my attention. I decided to try to find Mrs. Lockman by using some tools available to all of us for free on the internet – the whitepages, anywho or pipl. After several more telephone conversations, I asked Alice if I might come to visit her and look at her research, and she was excited to share her discoveries. I learned something very important at this time – many times we might feel hesitant to ask someone we don’t know well if we could look at their research. We fear rejection. But we overlook a human characteristic, highly developed in genealogists: the desire to show what we have done. 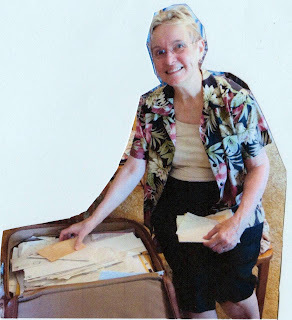 I prepared my tools for the trip across several states to look in Alice Lockman’s suitcase. My husband was coming along to help with this task. First, I packed my VuPoint portable scanner in case I need to make copies of documents or photos at Alice’s home. 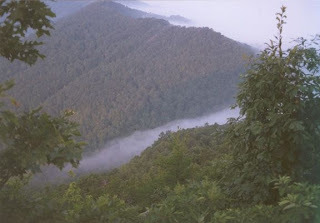 I also packed my digital camera (see my post of Oct 9, 2012 to help in making copies if we had a lot to do. I wanted to be sure that I didn’t overstay my visit and wanted to be respectful of Alice’s time and health. I noticed that the collection was actually individual papers and many, many personal letters in their envelopes. I wasn’t in a library or an archives, but in a home. So there was no “finding aid” of table of contents. Although I’m a researcher and a born organizer, I saw that this was a big task. Well, I just jumped in. I decided to concentrate on the letters. And this was fortuitous as I found some information that was new to me and vital for my family research. "In the short time that I have had to review the data, I do have a few questions. 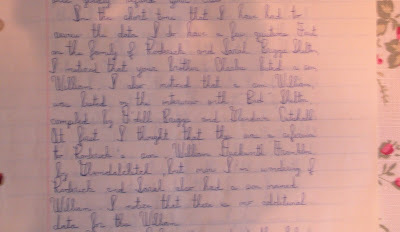 First, on the family of Roderick and Sarah Briggs Shelton, I noticed that your brother, Charles, listed a son William. 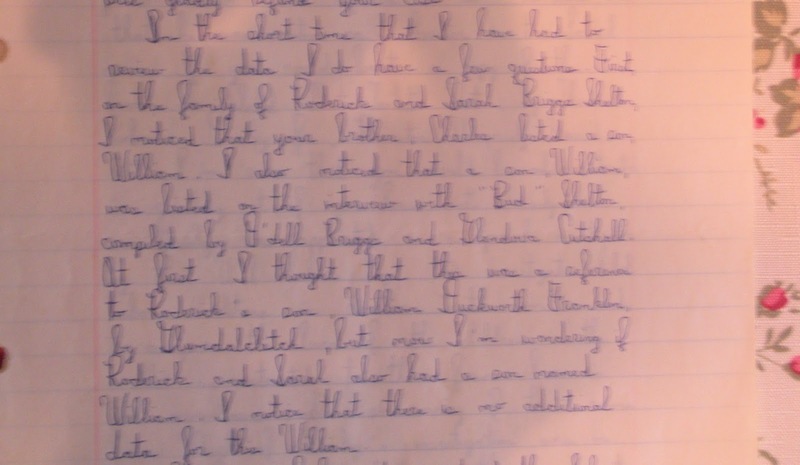 I also noticed that a son William was listed on the interview with "Bud" Shelton....At first I thought that this was a reference to Roderick's son, William Duckworth Franklin by Glumdalclitch, but now I'm wondering if Roderick and Sarah also had a son named William." 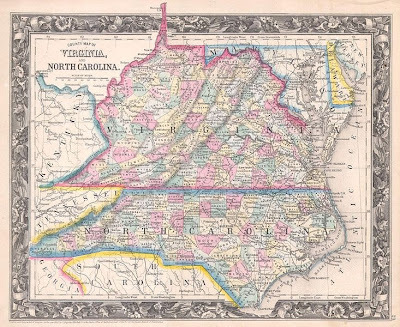 I made another very interesting discovery in the Lockman-Gosnell letters, something that has enriched my knowledge of the way my people lived in Madison County, NC in the early 1800s. Map of Madison County, North Carolina, June 2007, taken from US Census website and modified by User:Ruhrfisch. In the early 1900s, a photographer and social reformer, Lewis W. Hine took photographs of mill workers and farm families in many states, including North Carolina and Virginia. 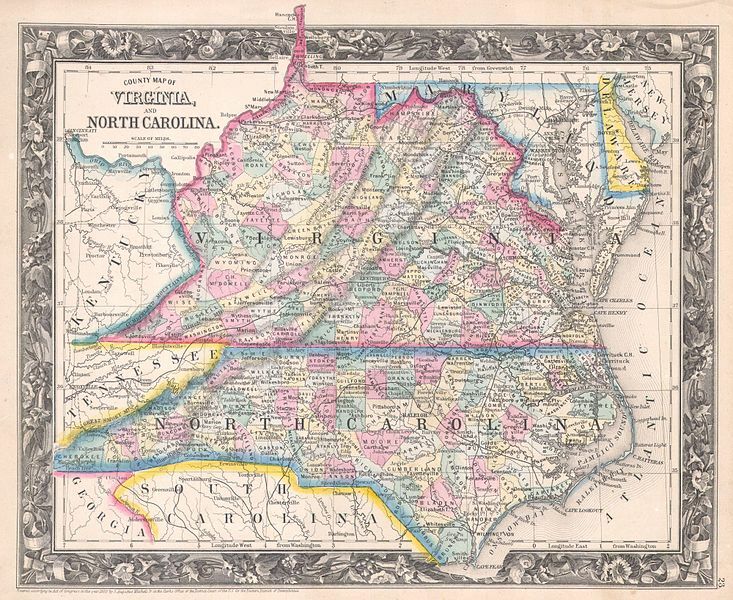 County Map of Virginia, and North Carolina, 1860, Samuel Augustus Mitchell, Wikimedia. Some of the sweepers in a cotton mill. North Carolina, 11/1908, National Child Labor Committee Photographs taken by Lewis Hine, U.S. National Archives and Records Administration. 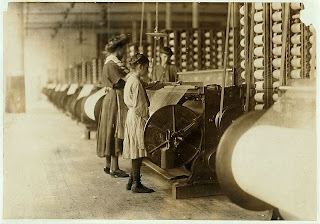 Two young girls working at the Loray Mill in Gastonia, NC. 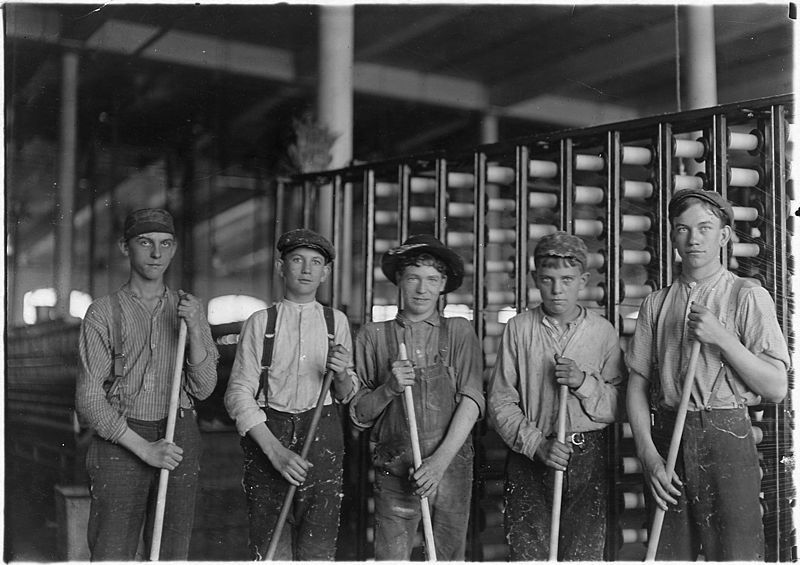 November 1908, National Child Labor Committee Photographs taken by Lewis Hine, Library of Congress. Another Lewis Hine photograph of a farm family in VA from the early 1900s, provides a glimpse into what Mr. Dawley saw during his research. Part of the family of R.D. Thomas. He and a boy of 15 are working in the Century Cotton Mill, South Boston, Va., 1911 June, National Child Labor Committee Photographs taken by Lewis Hine, Library of Congress. Oh, how we genealogists love oral testimonies! 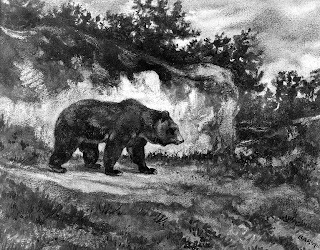 Of course, we have no proof of the accuracy of Mr. Tweed’s reminiscences or of his motives for sharing them, but it is such stories that inject life into the names, dates and place names that fill our family history sheets. 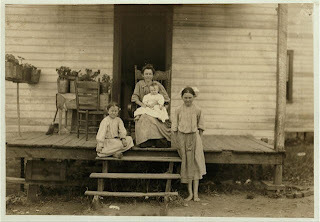 I am in debt to Alice Lockman for allowing me to read her correspondence with Richard Gosnell, to Richard Gosnell for his discovery of Thomas Robinson Dawley Jr.’s book, and to Mr. Dawley for his efforts to record for posterity the conditions of the lives of the pioneer families of North Carolina’s Shelton Laurel. I leave you with the reminder that you never know what you will find in your research. For that reason, I recommend following every lead that you uncover. Even a brief mention of a name in an old message on genforum.com or rootsweb.com can lead to spectacular results if you invest the time and energy into following up.